No more pinholes! The soon-to-be-available RaceDots are an innovative product to attach your race number on your jersey without using safety pins. The patent-pending design uses 2 rare earth magnets that interlock – place one under your shirt then the other on top of your number. You can even slide them around to move your number in the perfect place. They are nickle-plated so they will not rust, and there are 8 colors to choose from. 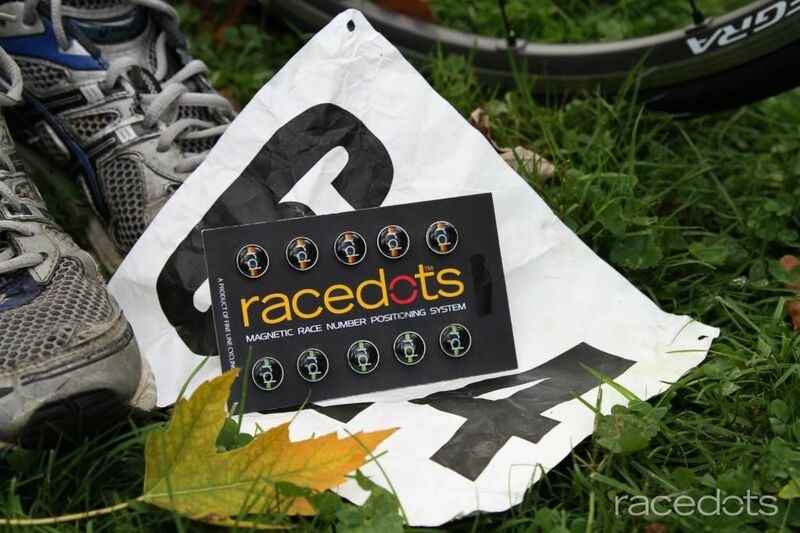 For your next race, check out RaceDots and do away with the safety pins!